Hop on the Bus Gus- shipping updates. Shipping on the bus can be a big drag for the ones doing the shipping. (sure, there is a bit of a hassle on the pick up end of things too, but it is worth it to save some money….in many cases ALOT of money…over hiring a legit shipper. You always have to be willing to roll with the punches. I have had a few shipments go in the last few weeks and here are the latest quirks with the bus. My closest station (about 1/2 hour away) is Allentown. They were removed from the Greyhound computer as a shipping station because we recently had a local bus company go out of business. I cannot order a label on Greyhound’s website originating out of this station. I can, however, drop off there and pay cash for shipping. This means in order to ship with a courier on your end, I need to drive it to Philadelphia to ship. I do not mind doing this but in most cases, but I will be implementing a flat charge to cover that expense. If I need to go to Philadelphia at your request, I will tack that on your shipping price. I recently shipped to a small station in Idaho and spent 2 days driving it around to get shipped. Needless to say it’s well on it’s way, but just another dose of bus shipping reality. I see lots of folks on fb groups telling people to have the seller bus ship. I think these folks think it magically packs itself and drives itself to the station? Not sure but there is a lot of work involved and for those of us not in a major metropolitan area, it is a big expense. This shipping option is a SERVICE and in most cases, will save you a bit of money over hiring a USHIP driver. Believe me when I tell you finding cheap shipping is not an easy task and sometimes my hands are tied. If you are in California and need a large item shipped, we are at the mercy of uship unless we can fit it under the bus safely. If you are shopping for something that might be a candidate for bus shipping and want to know more, please reach out. I can explain how the process will work. We are not insured for damages going this route but I do my best to pack the item well and usually am including new moving blankets I buy from harbor freight. I also take responsibility for calling and tracking items or dealing with Greyhound Corporate. This could be a day of time if an issue arises but I take my position very seriously and this for me is part of exceptional customer service. Don’t by shy, reach out if you are looking for a larger item and I will get to work trying to calculate your best options! This is another reason to shop with a PROFESSIONAL SELLER! Hobbyists don’t really care about you or your budget. I just picked up some great new items from Primitives by Kathy! Camping themed kitchen towels, restocked Indian kantha placemats and grabbed a few kantha buntings (pennants) which are totally awesome for your camper or van awning! I listed 2 on etsy and dropped one off at my booth. The new towels are also at my booth and I will be adding the others to my eBay I guess. I have other towels on there right now as well. I also grabbed more of the pillowcases with the vintage camper. I had one left out at the mall but had sold a bunch on eBay. I will relist there in the coming days. New item! Kantha bunting (pennant) for home or camp! 2 in my Etsy shop, 1 in my local retail space. So fun! So bohemian! So my last day at the tax office is tomorrow. I will be working on some classes over the summer (unpaid) but otherwise, I am done until January. That said, thanks to all who bought from me in the last month or so! I am so thrilled as I plan on trying to make it without a legit job until next tax season! Your support has floored me and I think if I can keep this up for a while, I may be able to do it. I have lots more things to list and will be working on that in the coming weeks as I reorganize my office and storage and pack to do some flea markets and the big extravaganza coming up in a few weeks. I will announce where I will be set up and mainly plan on packing items I want to blow out. Basically, the more you buy the better the deal and I will be priced for resellers in most cases. I have a lot of stale or bulk items I bought over the last year and just want to clear out and start fresh. Thanks for shopping with me and please the best compliment you can pay me is sharing your favorite (I hope!) vintage seller with your friends. Don’t worry, it’s not a competition and I will find more so don’t keep me as a secret!!! <3 I need all the help I can get right now! Have a great week and I will post more soon! Fun kitchen towels! I could not resist the vintage ones! In my retail space and will be adding to my eBay soon. Restocked colorful Kantha placemats! These are a consistent seller on Etsy and I have given some sets out recently as gifts and they are loved! I have 3 sets (of 4) available and listed on Etsy. Just stating to list the fencing swords or foils on Etsy. I have a few more to list this week. Makes Great Wall decor but all appear to be in usable condition. We were unaware if the now 97 year old participated in the sport, or just collected them! There are examples of French grip, Italian grip and a pistol grip in this lot. 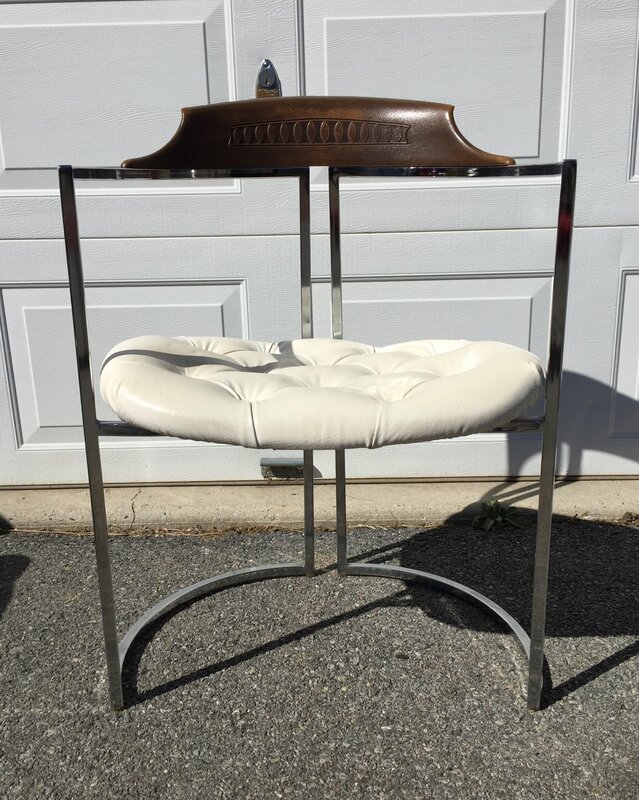 These pieces probably date to the 1970s based on what I have seen. Today is my last day of Tax Season work! Thanks for your continued support as I enter a new phase of my life and business! Great news! 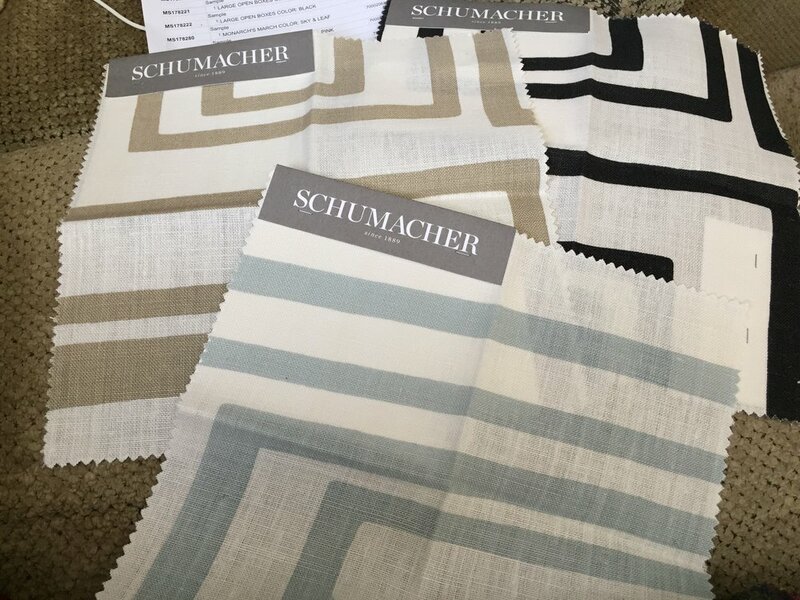 F Schumacher, whom I have a trade account with, just released their latest line of fabrics and low and behold, Vera! As a Big fan, I am totally stoked! I immediately ordered samples and they just started showing up. I will be placing an order and welcome the opportunity to hook you up. It is only available to purchase to trade account holders like me. Here’s the deal. 2 yard min or a cut charge, I do pay additional shipping charges. If you want me to order something for you, I can have your order shipped direct to you, payment required before I order. All fees will be passed through to you and will include my markup. I will provide you with a quote. If you want to split a minimum cut with me, I will consider that as well. I am definitely ordering lemons for my kitchen. Still deciding on what else. Last...Schumacher is crazy expensive. It is not something you want to hoard without a plan. This line is priced $60-100+ a yard. I am selling the Frank Lloyd Wright linens at $40 per 1/4 yard which is 9” by 52” width. That is retail. If you want to make pillows, you may want to only make the front panel with this and use a cheaper solid backer. Just a thought. Anyway, if you are a serious shopper and want me to price out your order and discuss any requirements, email me! I will probably move quickly once the rest of the samples arrive. Pics? Yes please!!! Samples I received so far. The two on the right are wallpapers. I can’t sell the husband on a contrasting wallpaper wall, but I am going to use this fabric for a valence. Chunkier linen, very large patten. Grapefruit and lemons. Lightweight linen. I am thinking about using a solid while backer for my valence. This is gorgeous. Cotton chintz with a sheen. The full repeat though makes it perfect as curtain panels or maybe a bedspread. You’ll want that to get the full effect!